You are doing a real service to support bees in the North Texas area when mysterious factors are causing their decline. But beware, watching bees can become addictive. The best strategy is to have some plants blooming at all possible times so that it is not a feast or famine situation for the bees. 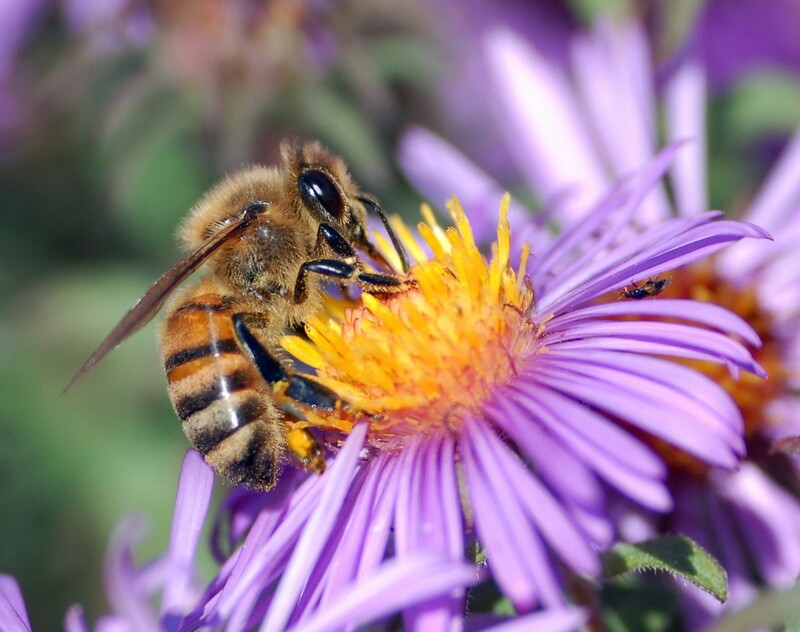 Honeybee on a Fall Aster. Honeybees will work almost any fruit, berry or herb grown in this area. Following is a list of favored flowering plants, vines, and shrubs. 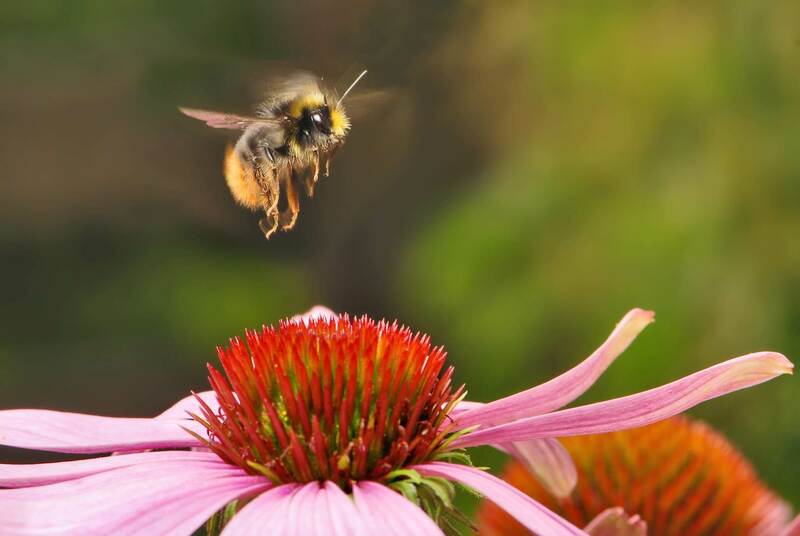 Honeybee hovers over a purple coneflower.